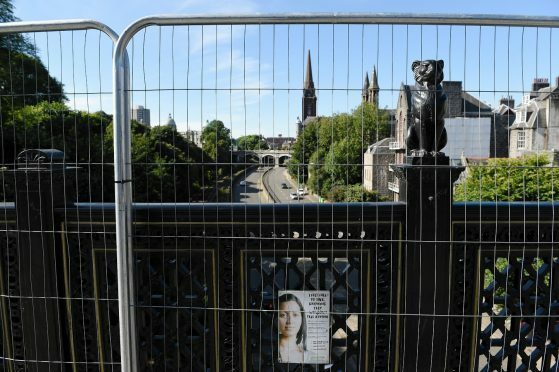 Emergency services have been called to the centre of Aberdeen amid reports that a man has fallen from Union Bridge onto the railway tracks beneath. A police spokesman confirmed that officers were called to the scene shortly after 6.30pm, along with personnel from the fire service and paramedics. The man is still alive and on his way to hospital. Police have confirmed that Denburn Road had been closed at both ends. The railway line has since reopened. Members of the public are advised to avoid the area. Any person who witnessed the incident or can provide any information is asked to contact police on 101 quoting incident number 3046 of the 3rd October.